Priya Gangwani is the co-Founder at Gaysi, and editor of their self-published annual print magazine The Gaysi Zine. Gaysi was started as a blog (www.gaysifamily.com) almost 10 years ago to provide a voice and a safe space to desis (people from the South Asian Subcontinent) that identify as Lesbian, Gay, Bisexual, Transgender or Queer. What began as a simple idea of sharing stories about what it meant to be gay and desi (thus, Gaysi!) has evolved into a space with a roster of authors worldwide, and diverse content. 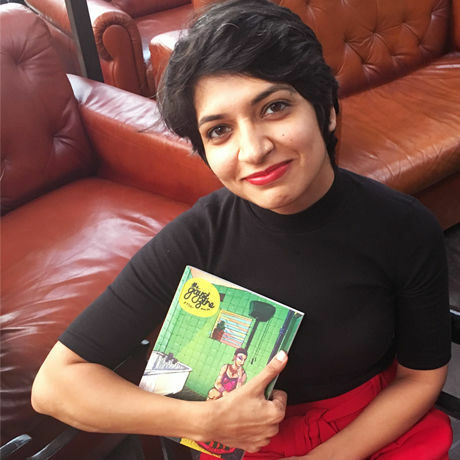 It has since developed a zine that retails at major bookshops across the country, hosts open mic events, book clubs, game nights, social bar-nights and, most recently, India’s first drag king show.